Today we're going to take a look at some seasonal flowers for the month of November, hopefully this will give you some inspiration if you are looking to send flowers to a friend or loved one. November is the month where summer is but a fleeting memory as the nights draw in and the weather gets colder. With winter on the horizon, now is a perfect time to evoke feelings of warmth and keep those wintry blues at bay with a fresh flower bouquet. We've done some research and brought about a list of five of the best seasonal flowers for November, read on to find out what these are! Native to cooler regions in the Northern Hemisphere, Calla is a genus of flowering plant from the Araceae family. 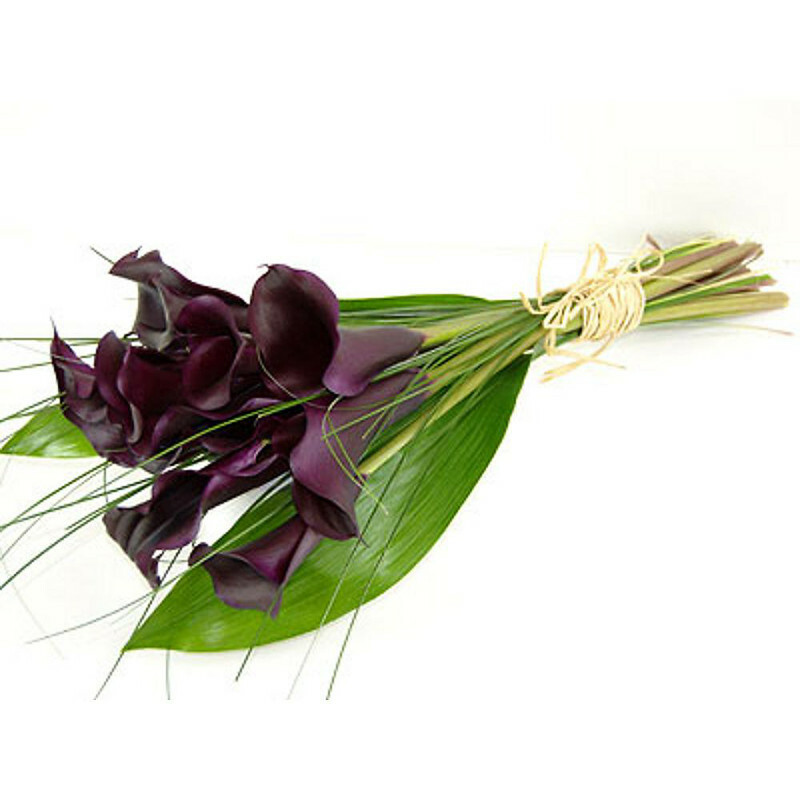 Our Black Magic Calla Lilies (pictured right) make for an interesting change from some of the Calla Lily flowers you may have seen before. With its maroon and deep purple hues, this striking flower bouquet evokes a feeling of subtlety, elegance and sophistication. This fresh flower bouquet would make for a unique gift to surprise anyone from a romantic interest to a dearly beloved relative. We also offer the eye-catching Cool Shades Bouquet which offers a vibrant variation on the Calla theme by mixing in arresting green anastasia and exotic tropical leaves. Hailing from South America, the Alstroemeria plant comes in an assortment of vivid colours. 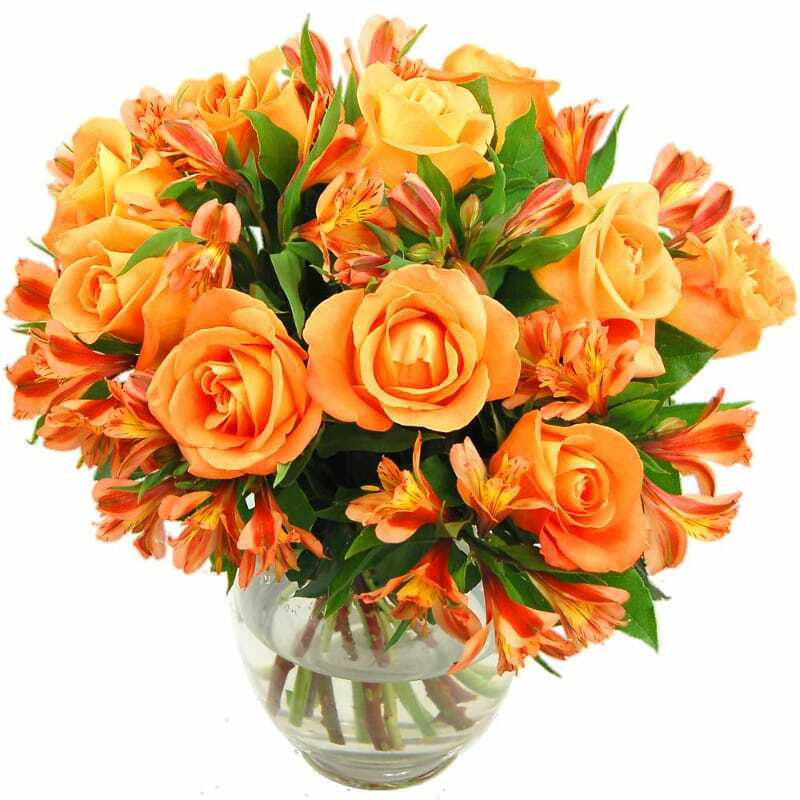 Our Orange Rosmeria Bouquet (pictured right) artfully blends Alstroemeria flowers with gorgerous orange roses to truly spectacular effect. The orange of the petals is marvellously offset by the subtle green of the leaves, ensuring that this bouquet will serve as a striking focal point wherever it is placed. The Rosmeria Bouquet is available in a selection of other colours including Cerise, White, Red, Yellow, Pink, and Peach, meaning there is sure to be a colour to suit your mood or to coordinate with your interior decor. Feel free to let us know which is your favourite in the comments section! The word Iris is derived from the Greek Godess of rainbows, a mythical being renowned for being able to travel at the speed of wind from one end of the world to another, undoubtably a useful ability! Iris is associated with communication, messages, rainbows and new endeavours. Such divine inspiration is apt for such a divinely beautiful flower, we're sure you'll agree. Our Thanks Mum! bouquet (pictured right) blends irises with roses, germinis, lilies, santini and alstroemeria, and is completed with tasteful green foliage for a perfect finishing touch. This beautiful bouquet needn't necessarilly be reserved for thanking your dear mother; it can be used in a number of situations from birthdays and anniversaries to simple thank yous. A timeless classic for any occasion, Roses can be used as a deeply heartlfelt romantic gesture or possibly as a surprise birthday gift for a loved one. There are over 100 species of rose available in an assortment of captivating colours including red, orange, white and yellow. The True Romance bouquet (pictured right) is an ever popular choice for the romantic looking to woo the object of his or her affections! Comprised of a dozen lovingly arranged red roses, this simple yet striking arrangment will serve as a bold and passionate statement. 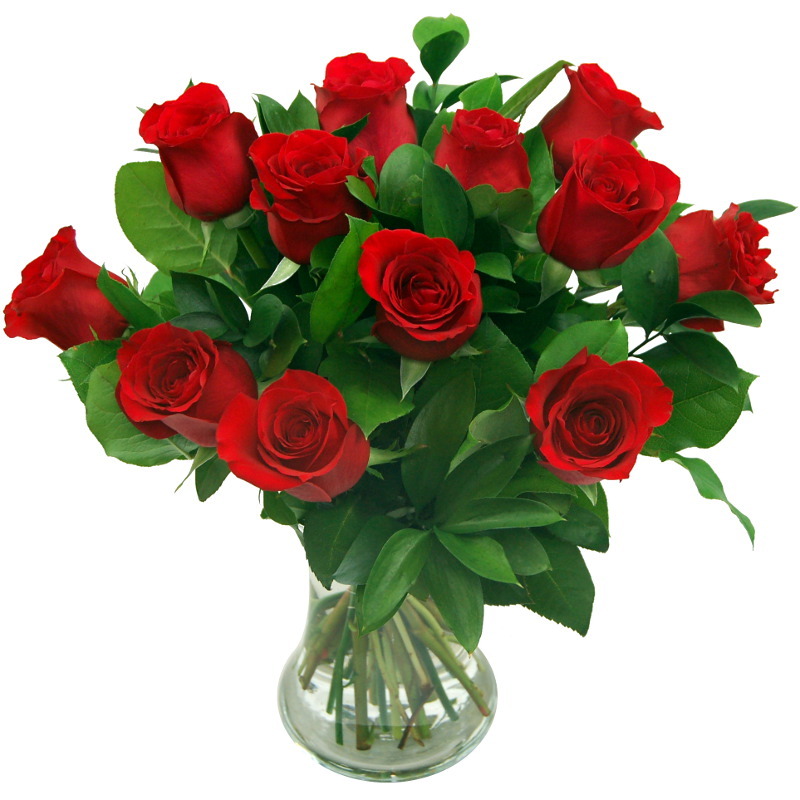 Whilst traditionally associated with romance, roses can also be used to congratulate, say sorry or to wish someone well. Our fifth and final flower for the season of November is the humble, unpretentious Sunflower. Famously paid homage to by the poet Allen Ginsberg in his magical beat poem Sunflower Sutra, the sunflower comprises around 70 species, most of which are native to North America. Warm and friendly, the sunflower has a rich lineage in arts and culture, from the afore-mentioned Ginsberg poem to the iconic painting by Vincent Van Gogh. 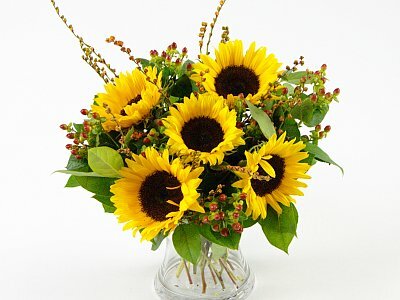 Bright, bold and beautiful, our Sunflower Surprise (pictured right) is ideal for a variety of different situations. 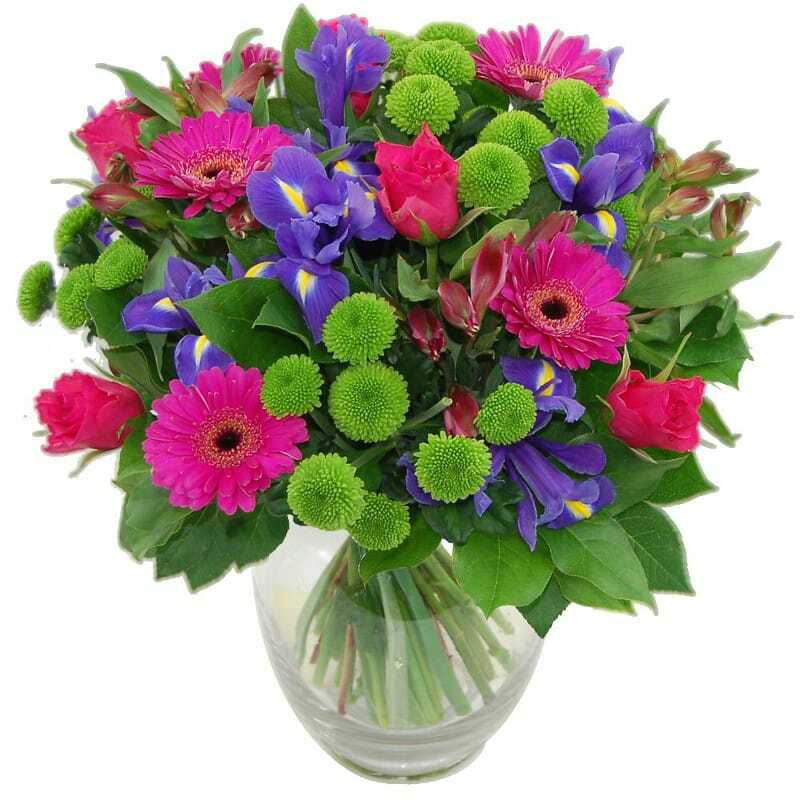 This vibrant and visually arresting arrangement is tastefully complemented by thick sprays of fresh green foliage and delicate red berries. Just the thing for adding a ray of sunshine to your home or workplace to fend off winter gloom! And that concludes our list of five of the most popular seasonal flowers for the month of November, we hope you have enjoyed it and gained some ideas or inspiration. Let us know which is your favourite in the comments section below!